Failure Is Not An Option!! “I can accept failure, everyone fails at something. But I can’t accept not trying.” – Michael Jordan… All the greats understand that failure is not an option. They understand that failure is just a step towards success. This week we finish learning the 21 key qualities of all Self Made Millionaires and how to implement these qualities in our lives… If we can learn and apply the wealth traits to our lives, we can become wealthy…. 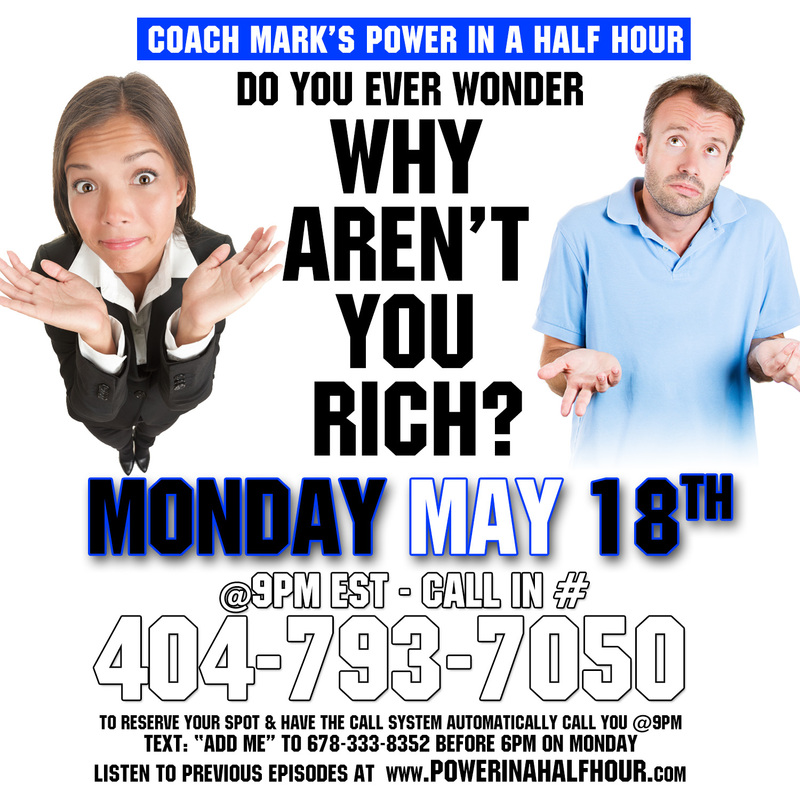 Have you ever wondered, “WHY AREN’T YOU RICH” *** Episode 32 of Coach Mark’s Power In A Half Hour!!! 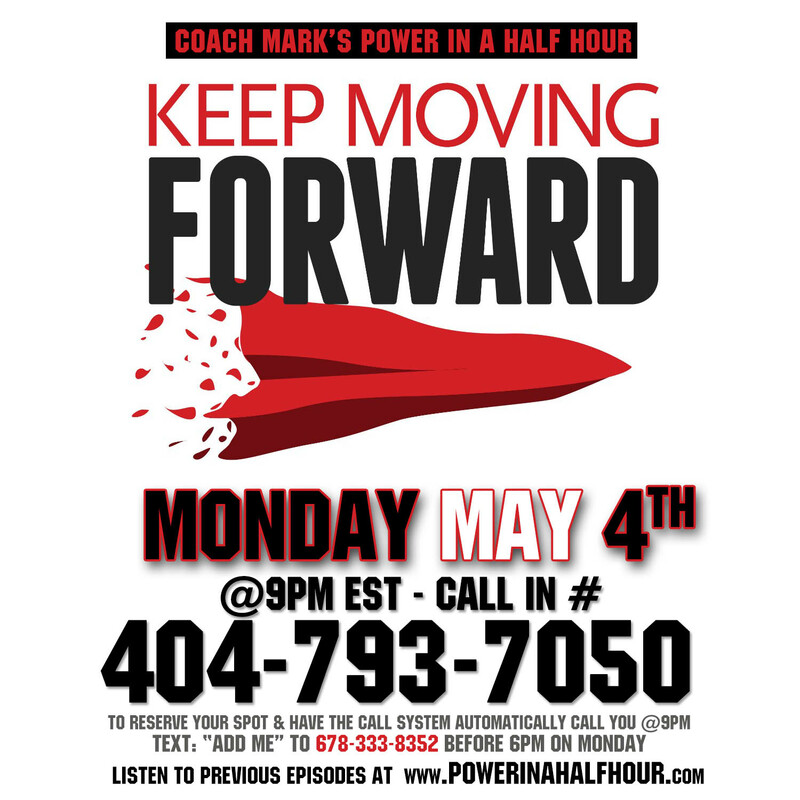 *** This is a free call with NO SELLING, NO PROMOTING ANY PRODUCT, BUSINESS, OR SERVICE, Just Coach Mark sharing the success secrets that have helped him to retire successfully before the age of 40. **** I know this will have many people feeling uncomfortable, but in order to solve a problem, we have to first acknowledge that there is a problem… This week we will learn why most people never become financially succesful and continue learning the 21 key qualities of all Self Made Millionaires and how to implement these qualities in our lives… If we can learn and apply the wealth traits to our lives, we can become wealthy…. 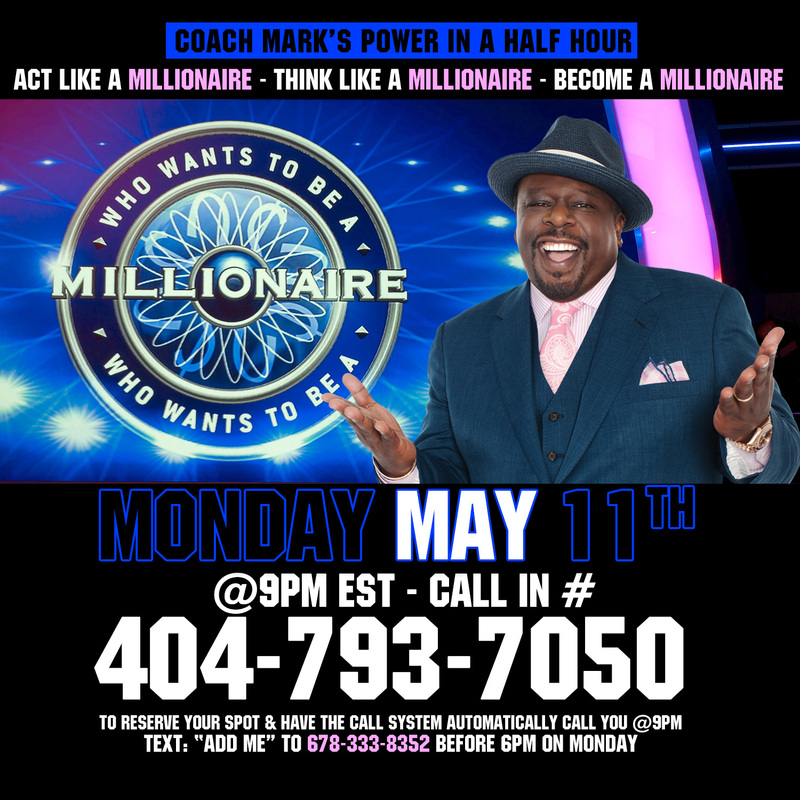 Act Like A Millionaire, Think Like A Millionaire, Become A Millionaire… Coach Mark’s Power In A Half Hour Episode 31 – What’s the easiest way to become a Millionaire? 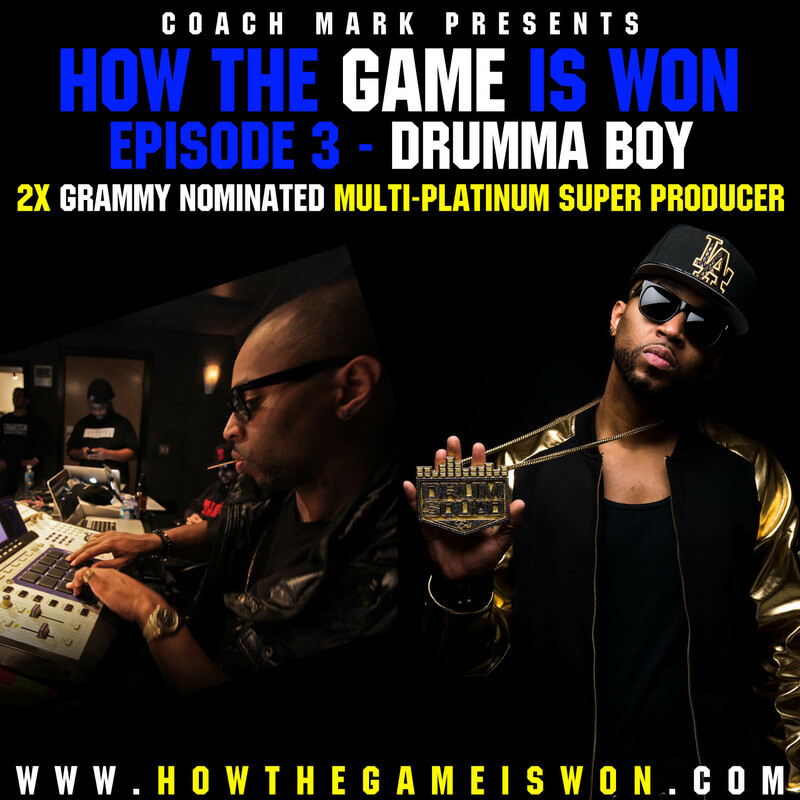 Just Do what Millionaires do…. Come and learn the 21 Traits of Self Made Millionaires… This is a free call with NO SELLING, NO PROMOTING ANY PRODUCT OR BUSINESS, Just Coach Mark sharing the success secrets that have helped him to retire successfully before the age of 40. Keep Moving Forward.. You’ve come to far to stop. Your almost to your Goals.The Journey to our goals, dreams, and desires can get rough, but we can’t stop. We have to Keep Moving Forward. What do leaders do when they need motivating? Even the motivators need motivating. 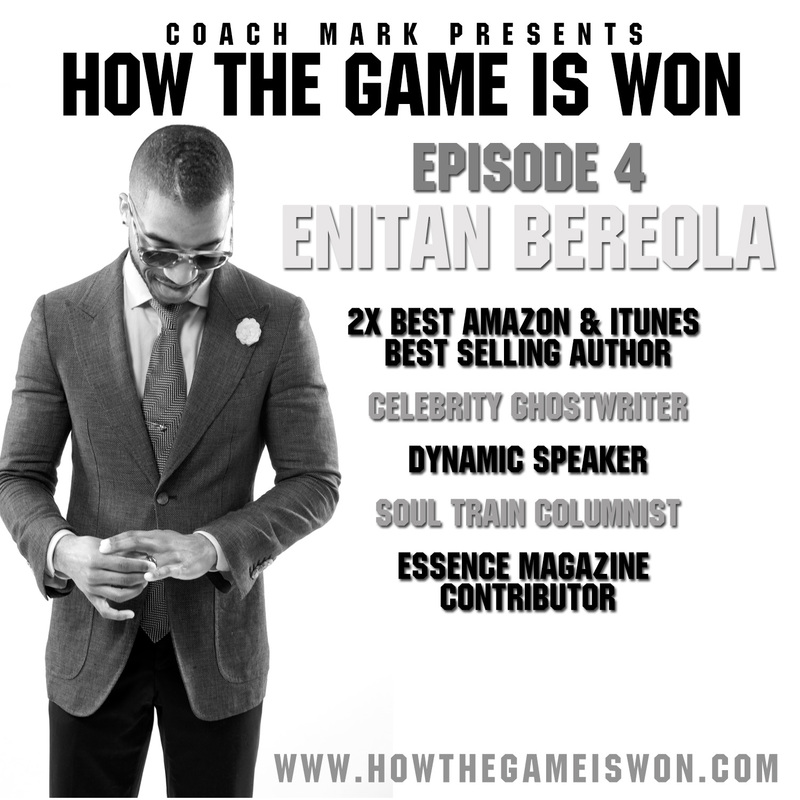 Learn the strategies to get you out of that slump when you need some motivation.